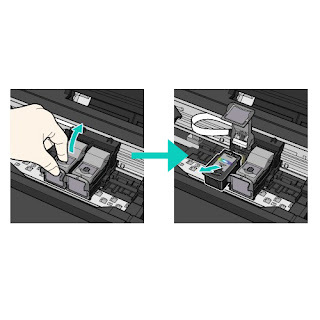 Printers usually come with a user guide where you can see the steps to change ink cartridges if you do not have or have lost, you can follow the instructions listed below you. * Change your printer cartridge when prompted only the printer itself. No need to change the two cartridges at a time, only to be depleted. With the printer connected to the computer and the power, check that is on. Lift the top cover (where the scanner is) to access the cartridges. Extracts the cartridges as shown in the image. First you have to lift the cover that holds the cartridge and then pull it out. Take the new cartridge and remove all bearing seals. Install it in the corresponding hole and as such was the other cartridge and close the cartridge cover until it clicks. * It is important that the cover is properly closed and straight to fit. To close the scanner cover you have to lift slightly this and close smoothly. 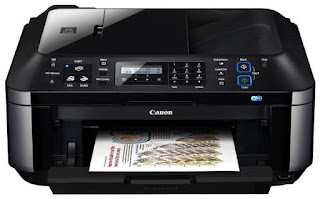 If you want more information about Canon MX-410 printer can take a look at our review. Canon MX-395, Canon MX-475, MX-525 Canon, Canon MX-535, MX-725 Canon Canon Canon MX-895 and MX-925.